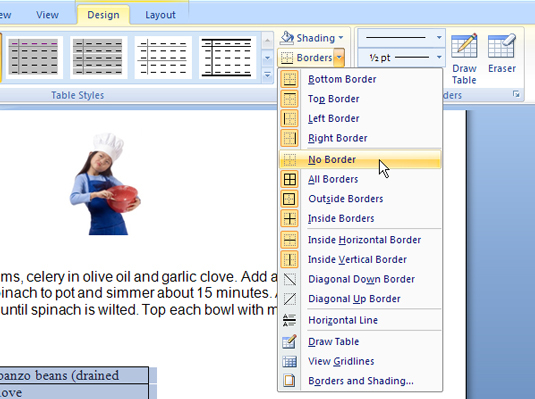 You can use the Table Tools Design tab in Word 2007 to remove border lines from your tables. This is useful if you want a table without any lines, such as a one-column, two-row table to put a picture and its caption in your text. The Table Tools Design tab appears on the Ribbon. 2Click the Borders command button to display the Borders menu. This button is located in the Table Styles group. Word removes the table’s borders.